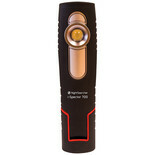 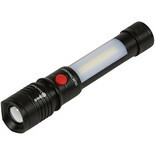 This has been designed with 6 super-bright SMD LEDs on the front with more than 3 hours of lighting if the battery is fully charged. 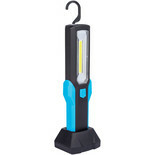 36 LED Lithium-ion work light - 36 very bright LEDs, ideal for use in garages for under body inspections or for general illumination of lofts etc.Includes mains and vehicle 12V chargers. 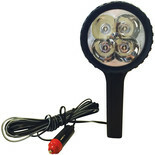 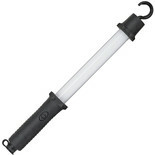 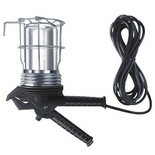 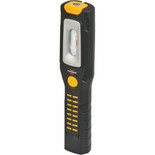 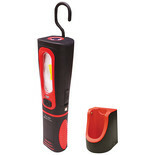 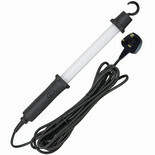 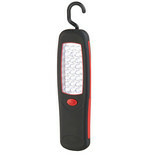 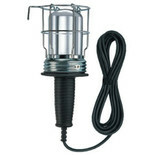 A 60 Watt heavy duty inspection lamp with tough spring loaded plastic grip handle and hanging hook. 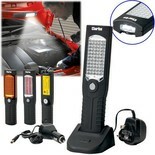 Ideal for use in workshops and automotive garages. 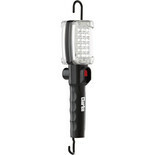 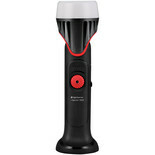 See clearly what needs doing with this powerful professional inspection lamp which shines light straight to where it needed.